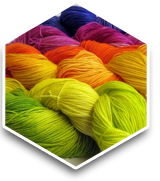 Amino Silicone Softener is used for softening the texture of fibers and fabrics and made them smooth. These softeners are composed of the finest quality softening agents to impart the soft feel to the fabrics. The softeners make the fabric blends soft to handle and white with no yellowing. The softener shows excellent stability to hydrolysis and temperature. It offers excellent whiteness to the fabric without causing any yellowing.The Amino Silicone softener is clear liquid imparts the softness & silky feel of the synthetic & cotton fabrics. We are one of the leading processors, suppliers, and exporters of a superior quality range of Amino Silicone Emulsion. These are widely appreciated for features like soft & flowing touch, high surface smoothness, high yellowing resistance and excellent elastic resilience. Offered at market leading prices, these are suitable for white & colored goods and are used as an additive to filling and stiffening finishes. For the wash-resistant and dry-cleaning-resistant finishing of piece goods made of cellulose, wool, and synthetic fibers. Since the product is a macroemulsion, it has its main influence on the surface touch of the textile goods. The product is suitable for white goods even at high drying temperatures and can be applied for high-grade finishing under the corresponding condensation conditions. In combination with resin finishes, it reduces the loss of mechanical properties (Resistance to tearing and to tear propagation, abrasion resistance, crease resistance)of the fabric.